When one of your precious pieces of jewelry is damaged, lost, or stolen, it’s critical to know what questions you need to ask your insurance company in order to be adequately compensated. 1) How do I submit a claim? Contact your insurance agent and confirm that you are indeed covered for the item in question. It is recommended that pieces with a retail replacement cost of $1,500.00 or greater be scheduled, which means that they are itemized on a separate policy for which you pay an additional premium. 2) Will the insurance company just give me a check for the value listed on my appraisal? Your agent will contact a trusted jeweler to determine the cost to replace the item in like kind and quality. 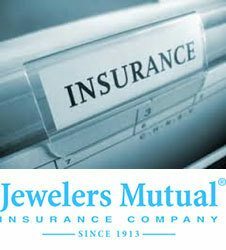 The insurer will typically reimburse you for the quote provided by the jeweler on the date of their inquiry. This amount, however, will not exceed the scheduled limit of coverage. It is also possible that the amount of your reimbursement will be less than the scheduled amount. 3) Can my own jeweler replace or repair the item, or does my insurance company handle that? This is at the discretion of the insurance company. 4) What if the insured amount does not cover the replacement cost? You can opt to personally cover the cost over and above the provided coverage to have the item repaired or replaced. 5) Is there an automatic annual adjustment to my coverage to account for the appreciated cost of jewelry? This is not a given, and depends on the insurance company. 6) Who can help me with my any additional questions I have? Dominion Jewelers has in-house insurance replacement experts on staff with more than 20 years of experience who will be happy to advise you in setting up the coverage that best meets your needs. ← Are Diamond Cut and Shape the Same Thing?